Are you a camper? A Hiker? Do you travel for long periods of time? Good! I’ve had this product for about one week now. It arrived just in time before a 4 day camping trip with the guys, and I’m so glad it did! Before buying this you might ask yourself, why get this instead of a really large battery pack? My first hand experience might answer your question because I have both…I have a 21000 mAh battery pack (more than enough you say? 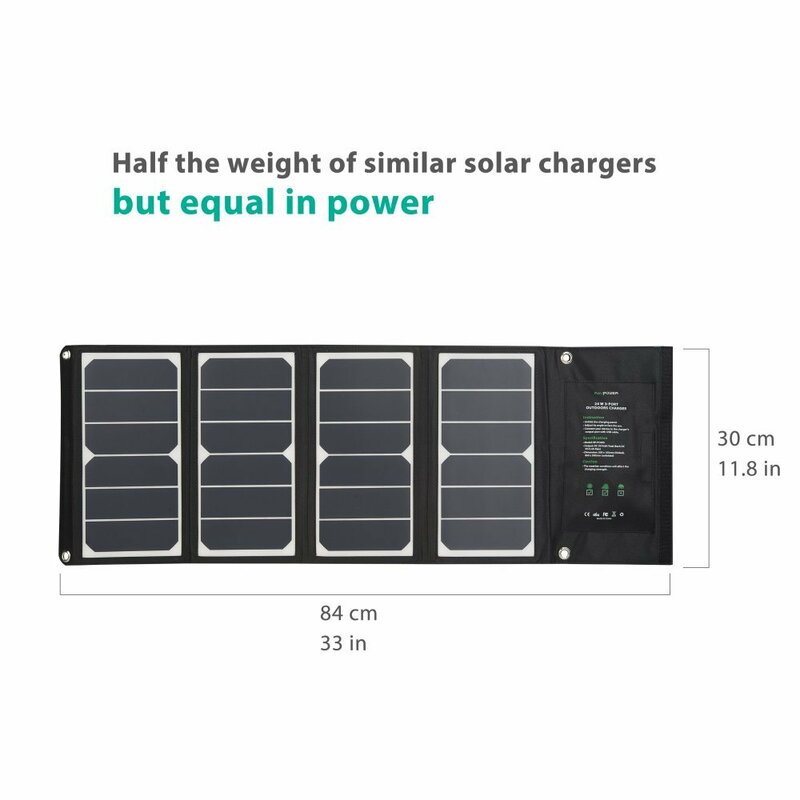 Read on…) and this beautiful piece of engineering (the Solar Charger). None of my mates had any backup power (trust them…). Day one was fine, by the end of the day everyone was charging their phones in turn off my battery pack, which is quite annoying, but I didn’t mind since I had a backup for my backup in my back pocket… By midday the second day my battery pack was drained – 5 people charging their phones to constantly take photos, play music and browse the internet on this so called ‘camping trip’ does that to a battery pack, but alas! I was not worried. 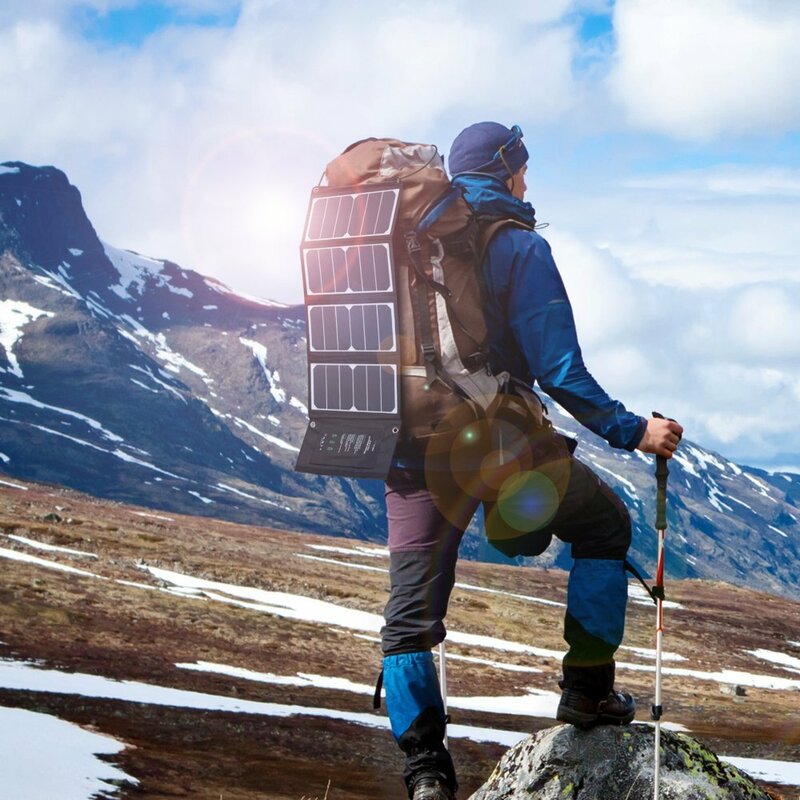 At this point I pulled the Solar charger out of my Rucksack, a few of the guys, already experiencing withdrawal symptoms from having drained phones, looked at me funny, not knowing what this new device was. Their eyes followed me as I unwrapped the solar charger and hung it over a tent in direct sunlight. I then opened the little pouch and pulled out 3 USB ports. Their eyes widened and they started frothing at the mouth, I had to keep them back using a stick from the bonfire. Then I slowly called out two names – my best mates – and let them approach me. The third port was used to charge my battery pack so that I’d be able to charge my phone at night. Anyway, we enjoyed the rest of the camping trip, I kind of had to regulate their charging sessions so that we’d at least spend some time together talking instead of on our phones. 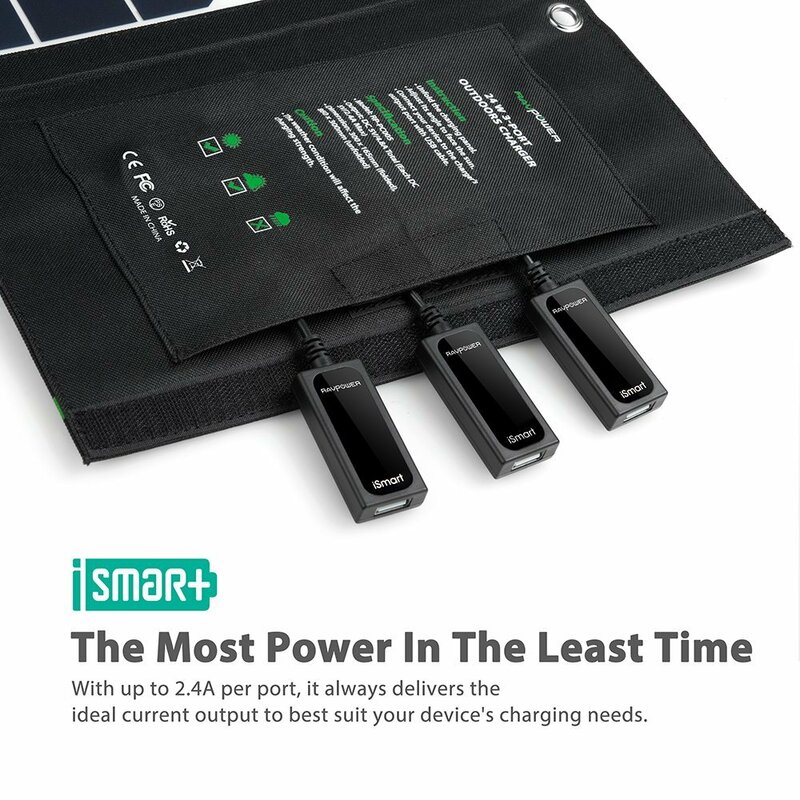 This charger is capable of outputting 24W – that is 2 iPad chargers and 1 iPhone chargers when in direct sunlight – that’s incredible. It comes with two micro USB cables and four carabiners to hang it anywhere you like. The charger folds flat to a size that is about the length of an A4 piece of paper, just slightly narrower. The USB ports are kept in a small waterproof pouch which is convenient to keep your charging cables in. This device does not have an in-built battery, but I didn’t feel that I needed it once I have my own battery pack and its powerful enough to charge your phone during daylight.